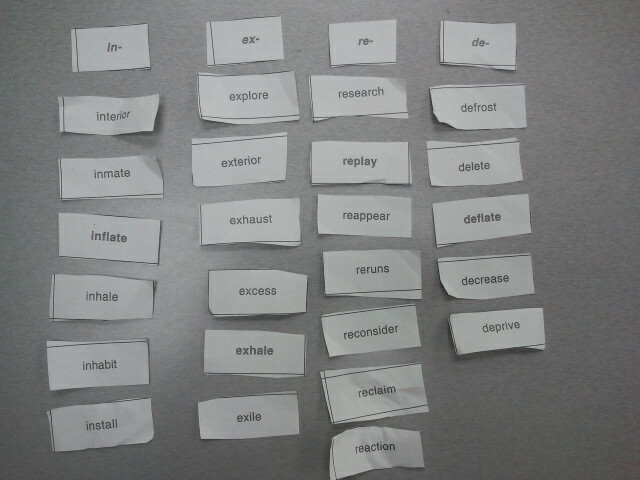 The student first cut-out the words from a sheet of paper then arranged her vocabulary words based on prefixes. 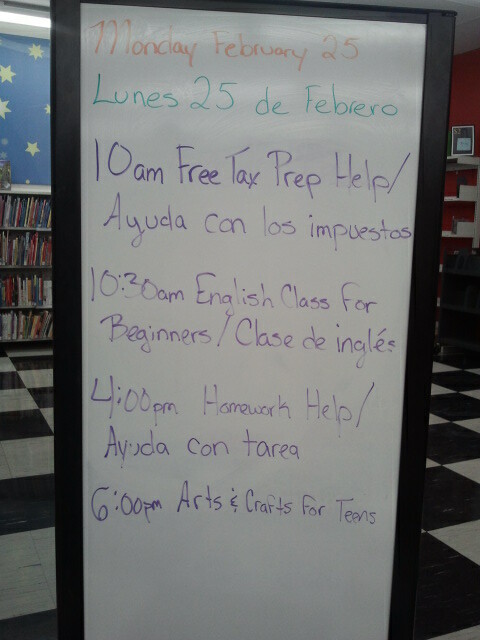 The public display of events offered by the Mexington Library during an average day. The display is close to the check-out counter and the entrance. 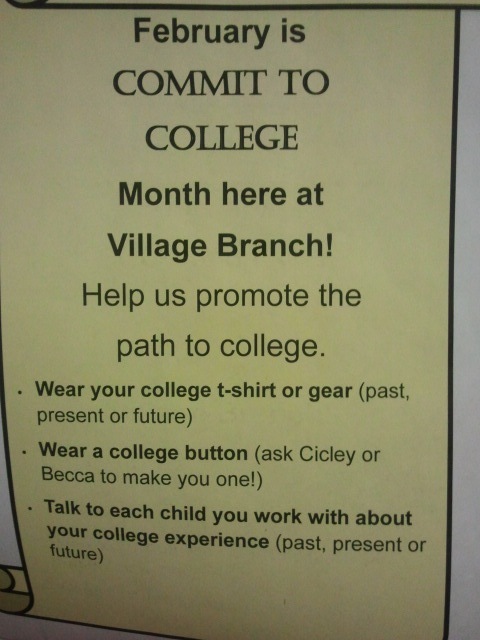 Flyer for “Commit to College Month” at the library. The push was a reminder for mentors to share their experiences in college with students and to get them thinking ahead about their futures–a sort of early intervention form of mentorship.